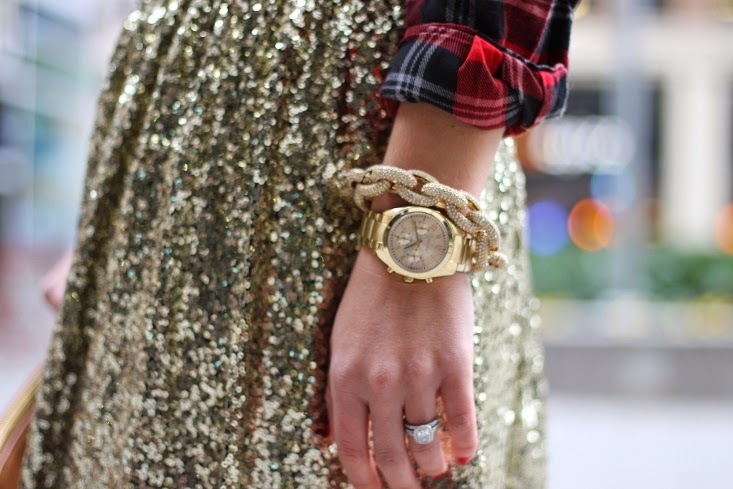 Is there any better combo than plaid and sequins?! Love this look on you. You are gorgeous as usual. The midi length of this skirt is awesome. I totally hear you on the getting dark early part. It really makes it difficult! Glad to have you back! The skirt is absolutely stunning and you're right, you'll be able to do so much with it! 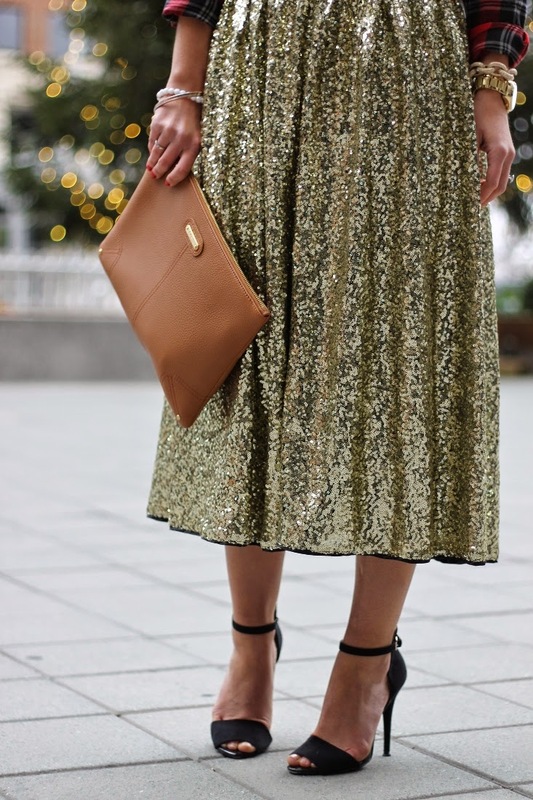 Super fab skirt for NYE party - Wishing you all the best for the New Year! This is so so gorgeous! It'd be a perfect casual but dressy NYE outfit! this skirt is to die for! so cute! Stopping by from the Trend Spin Linkup! I love that you paired your plaid with sequins! Gorgeous!